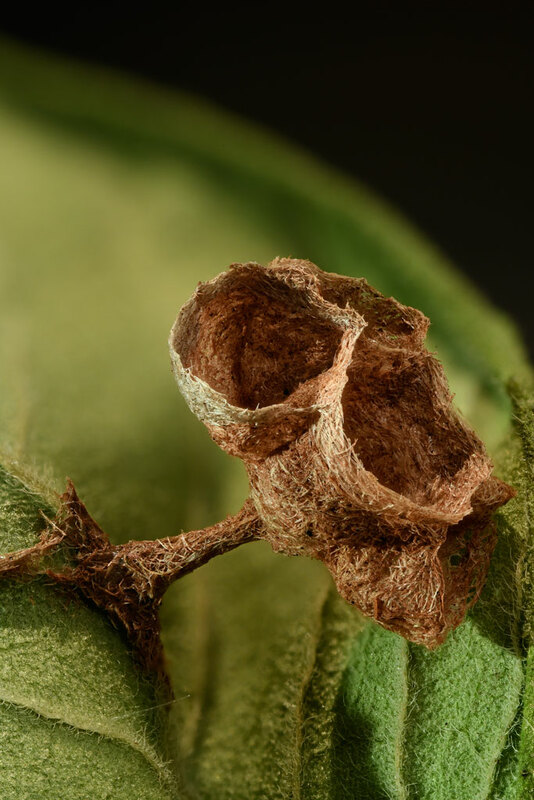 Imagine a wasp trying to make her nest on the underside of a leaf. Not a strange thing, but what happens with the foundation of her home dies? 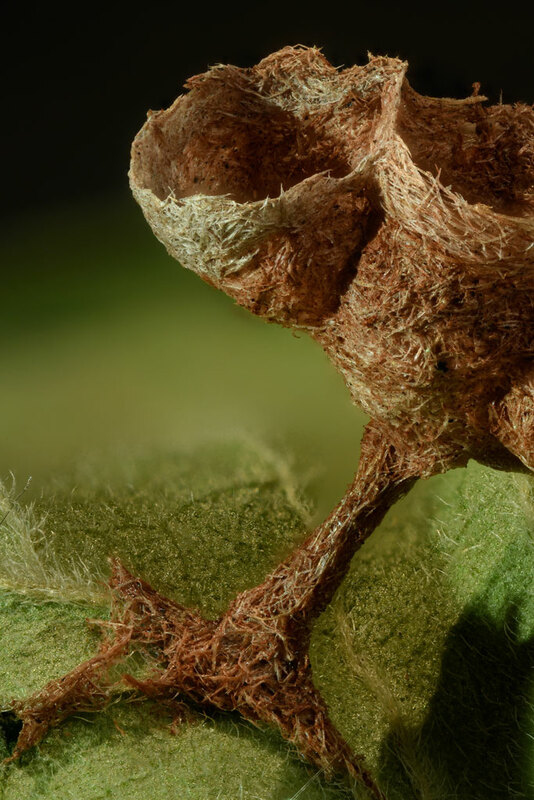 Interesting structures on the leaf. I believe they are stellate trichomes. The "streak" below the foundation of the nest is quite large.